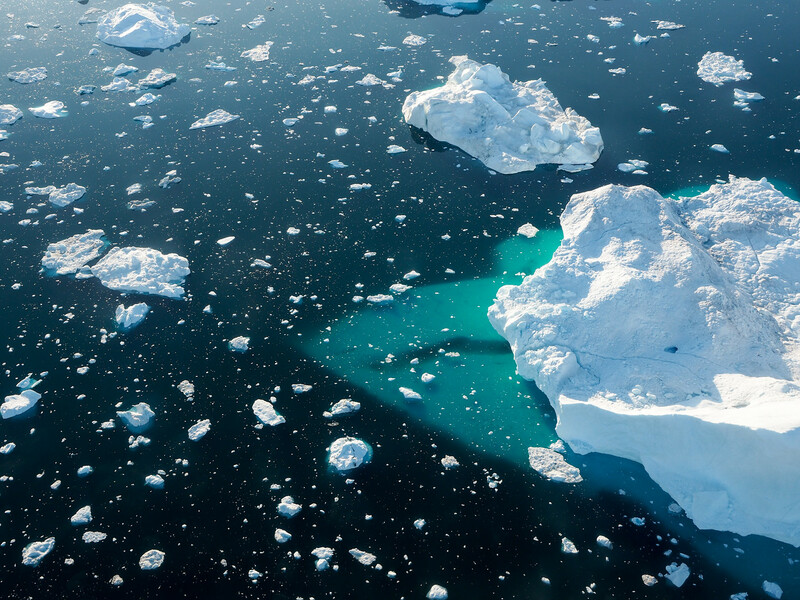 Let's be honest: Greenland isn't exactly a “hot” travel destination (ha, pun totally intended) for most people; it's remote and expensive to get to and not very warm; in fact, many people don't even realize that you CAN travel to Greenland. But here's the thing: Greenland is actually a fascinating and beautiful place to travel! 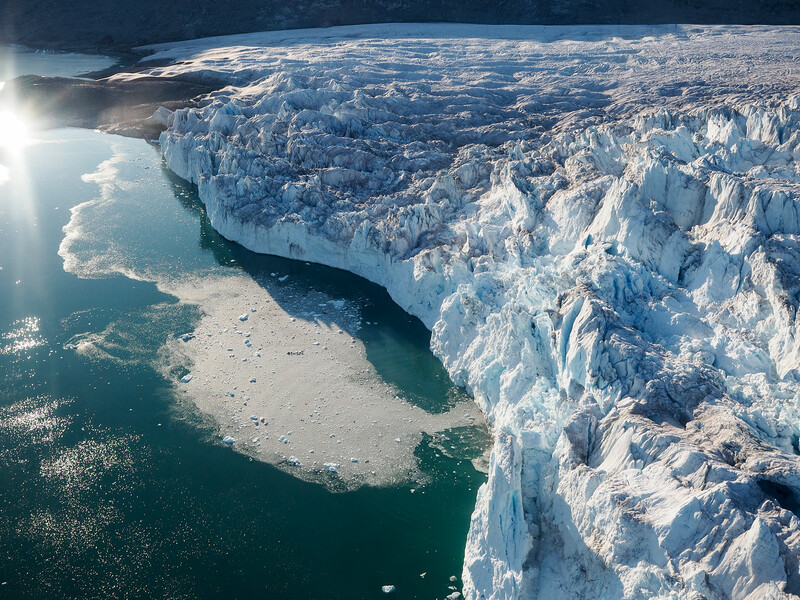 Because, even though 80% of Greenland is covered by the second-largest ice sheet in the world, the rest of the country is home to more than 56,000 people and some truly epic landscapes. 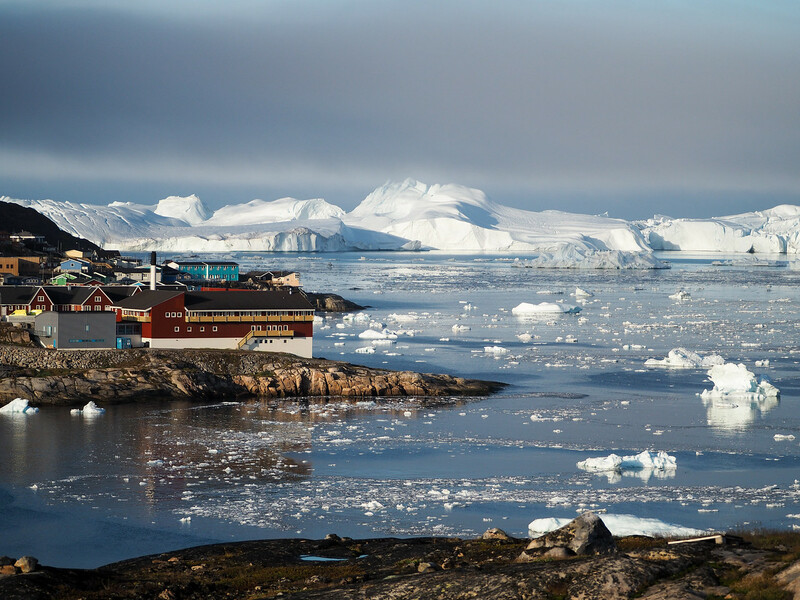 My first trip to Greenland took me to the Arctic town of Ilulissat, which sits on Disko Bay near the UNESCO-recognized Ilulissat Icefjord. 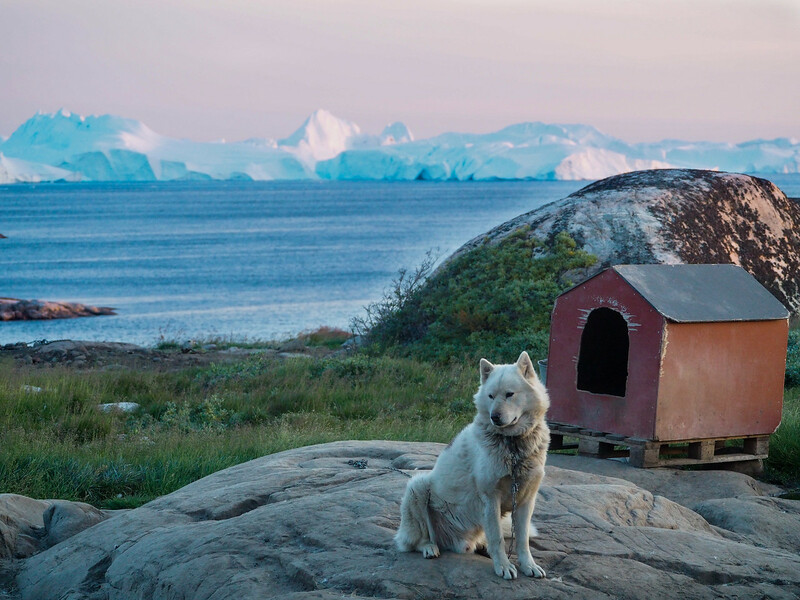 I visited during August, when the days were still long and temperatures bearable, and spent 4 days seeing the best of what Greenland has to offer, from icebergs to glaciers to stoic-looking sled dogs. 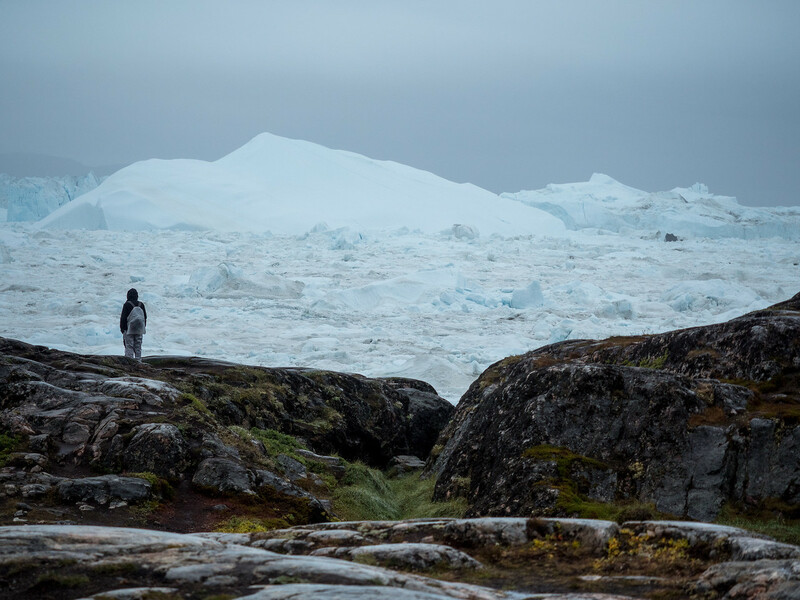 When I came back from Greenland gushing about how much I loved this often-flown-over-but-rarely-visited destination, people understandably expressed some surprise. All it took was me showing off some photos of icebergs and Arctic sunsets for understanding to begin to dawn on their faces. Because Greenland? It's breathtaking. So now it's time to share some of those photos with YOU. 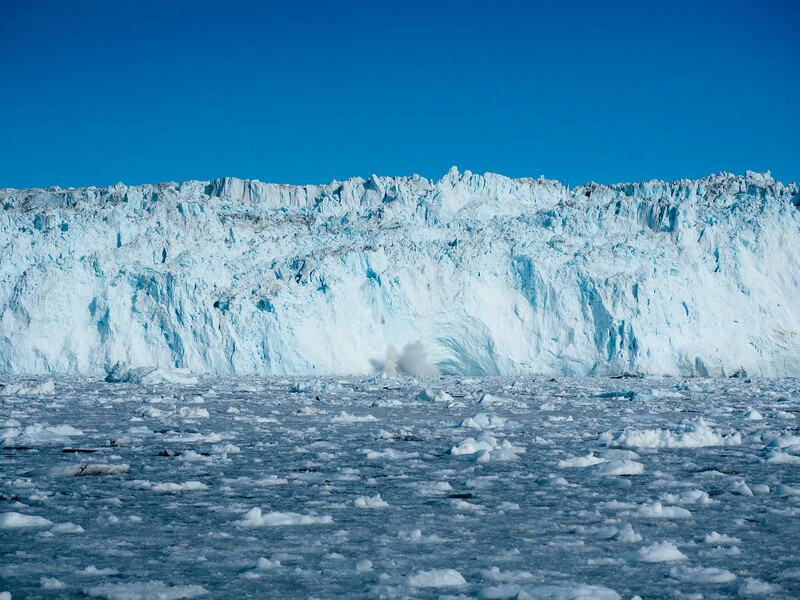 But just beware: scrolling through these photos may result in you booking your own trip to Greenland! 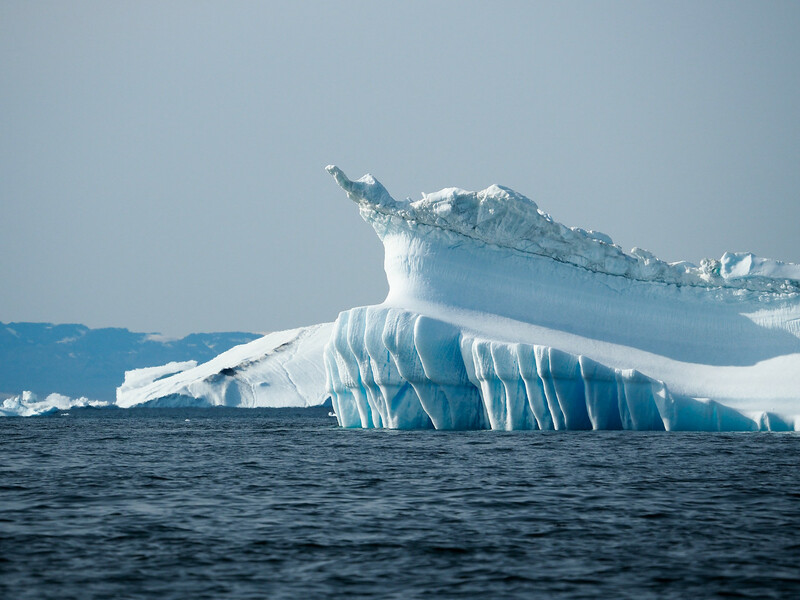 Greenland is inexorably connected to ICE, including massive icebergs like these at the mouth of the Ilulissat Icefjord. 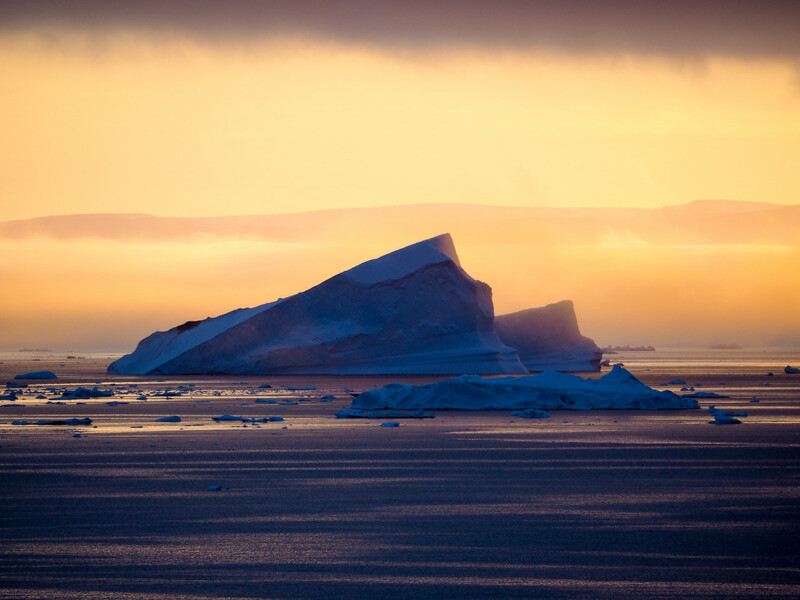 Even during the summer months, Disko Bay can be filled with icebergs. 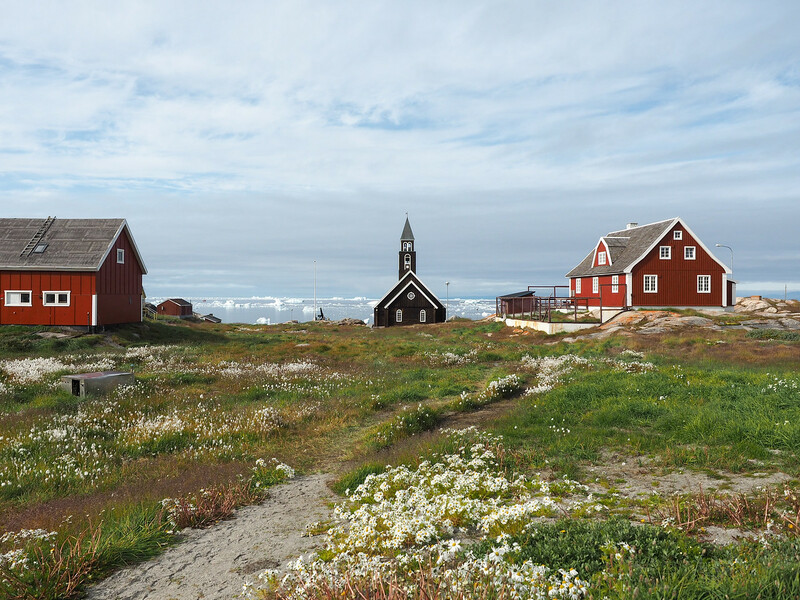 Ilulissat, the third-largest town in Greenland, actually IS sort of green in the summer. 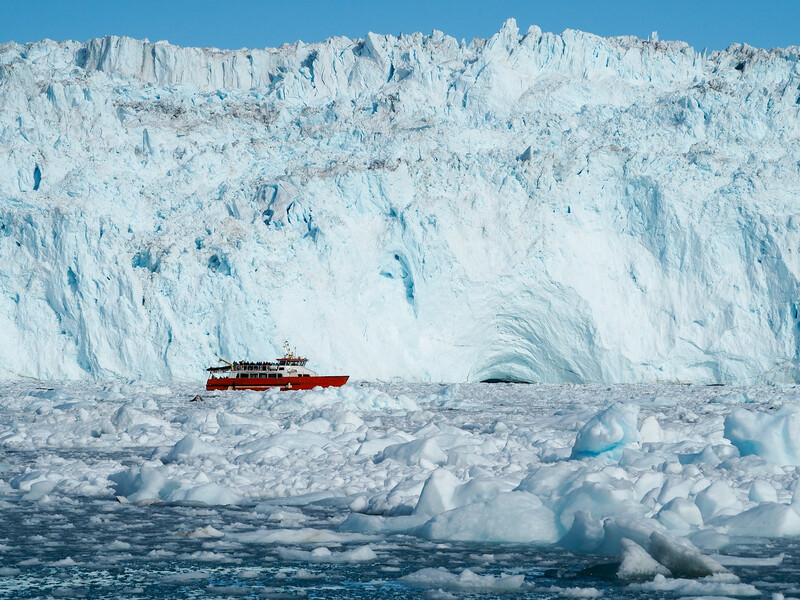 A boat in front of the mighty Eqi Glacier, nicknamed “the living glacier” because of how often large chunks of ice calve of its face. 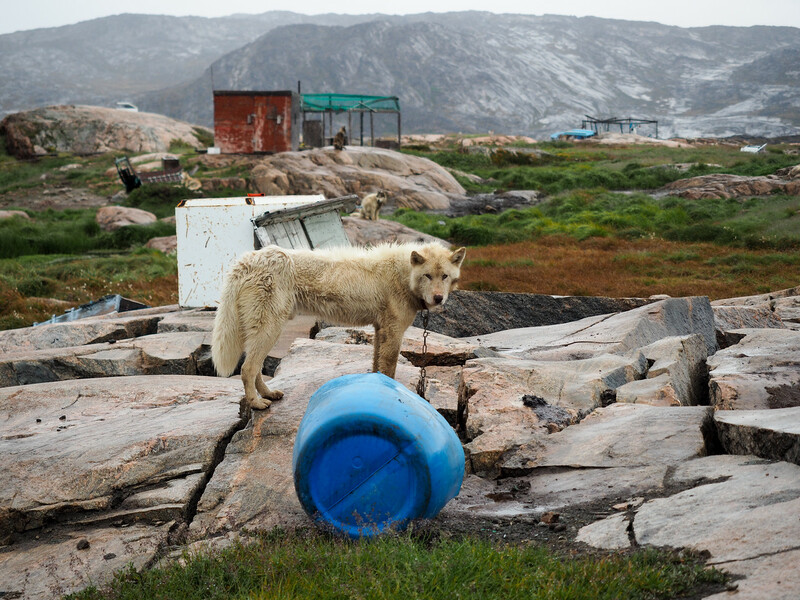 You'll find almost as many sled dogs as people in Ilulissat; but they're not pets! These are working dogs (and have far too much wild wolf DNA in them to ever be cuddly lap dogs). 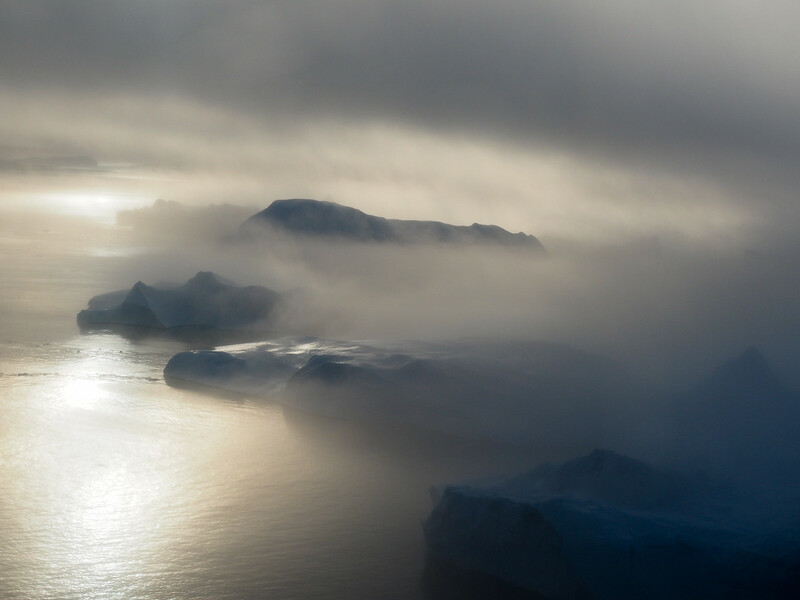 Add sea fog to icebergs, and you get some truly incredible sunsets. 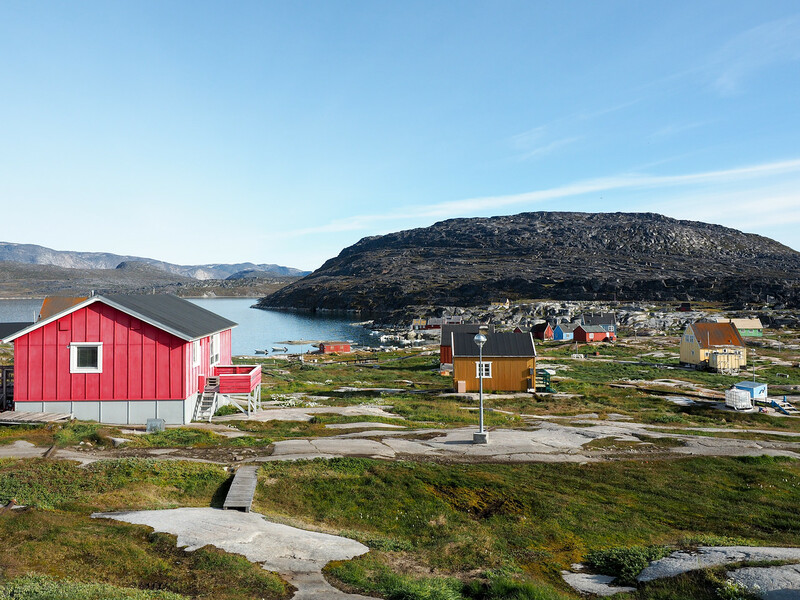 This is Oqaatsut, a small Greenlandic settlement of less than 50 people. 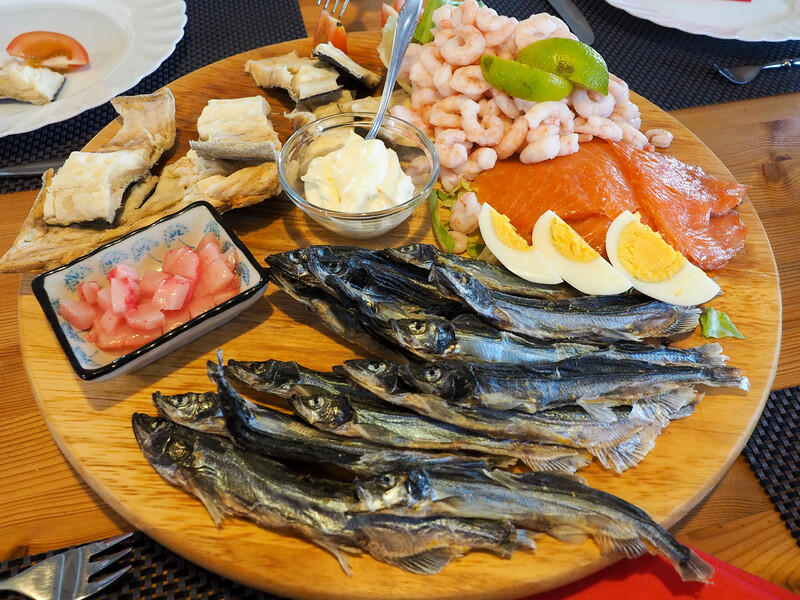 Traditional Greenlandic seafood platter at the H8 restaurant in Oqaatsut. 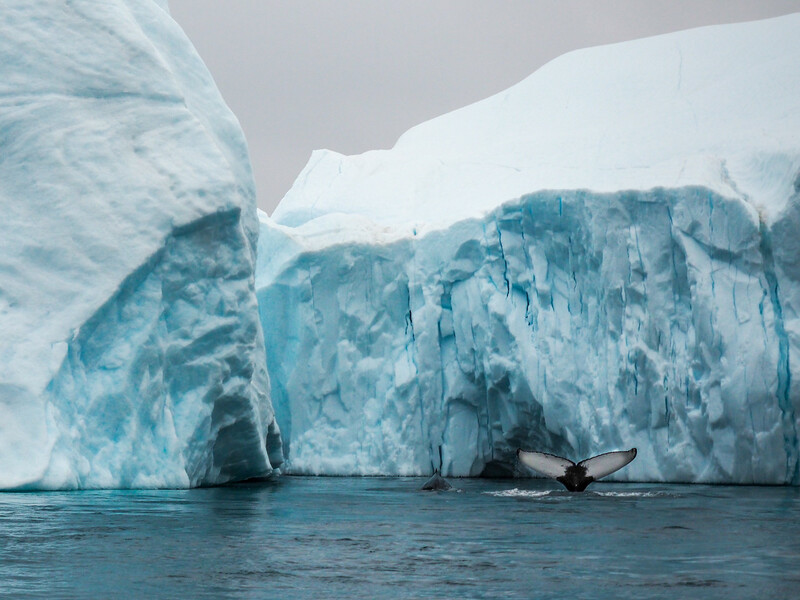 Spotting whales next to the icebergs was a pretty cool experience! 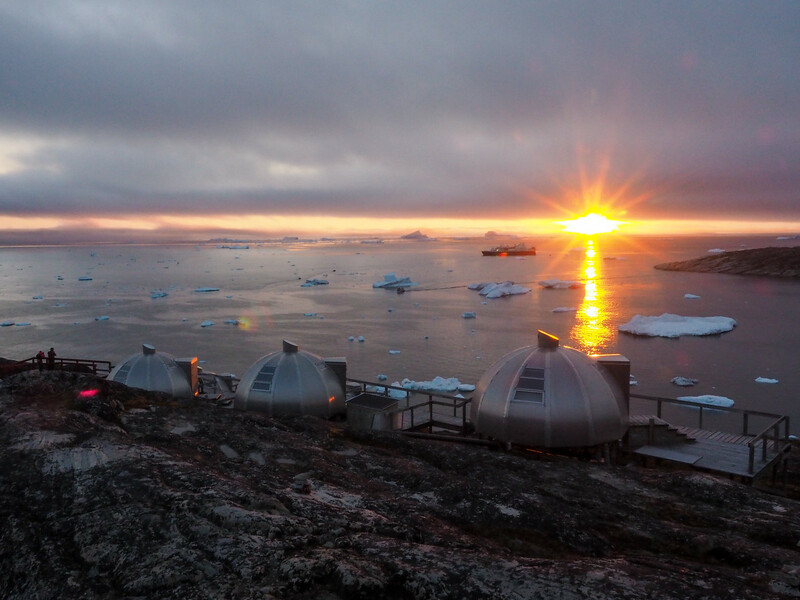 Sunset behind the modern “igloo” rooms at Hotel Arctic in Ilulissat. 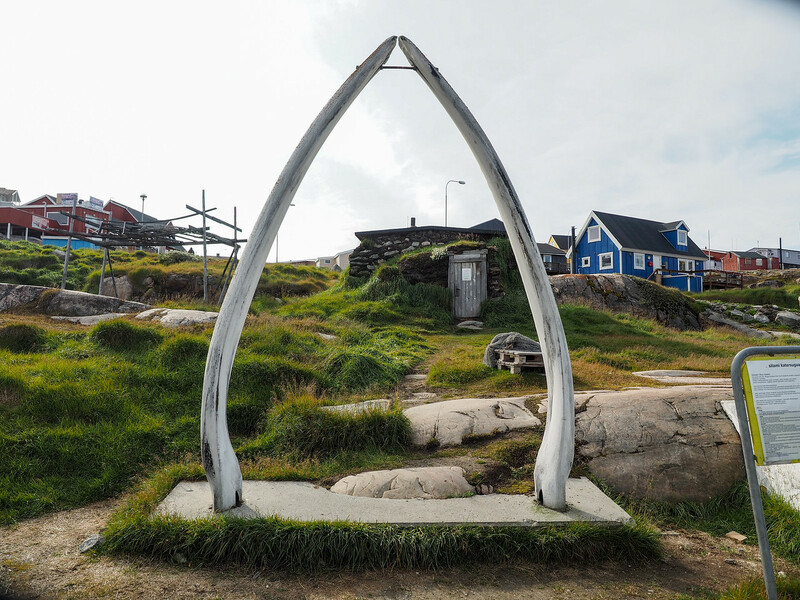 There are reminders all over Greenland that life is different here – like these fin whale jawbones forming an arch in Ilulissat. 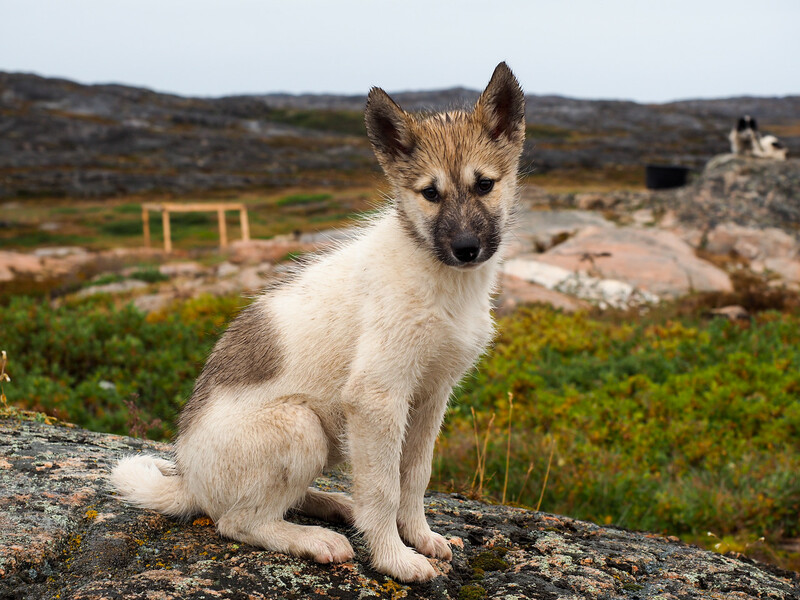 This sled dog puppy might be the cutest puppy ever. Iceberg blues and sunset pinks are my favorite color combo, I think. 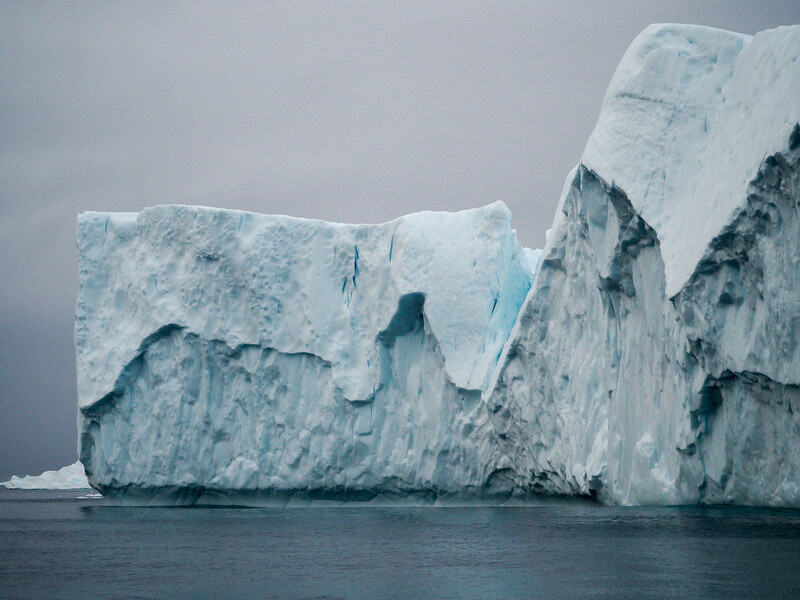 You need to see icebergs from above to really understand how big some of them are. 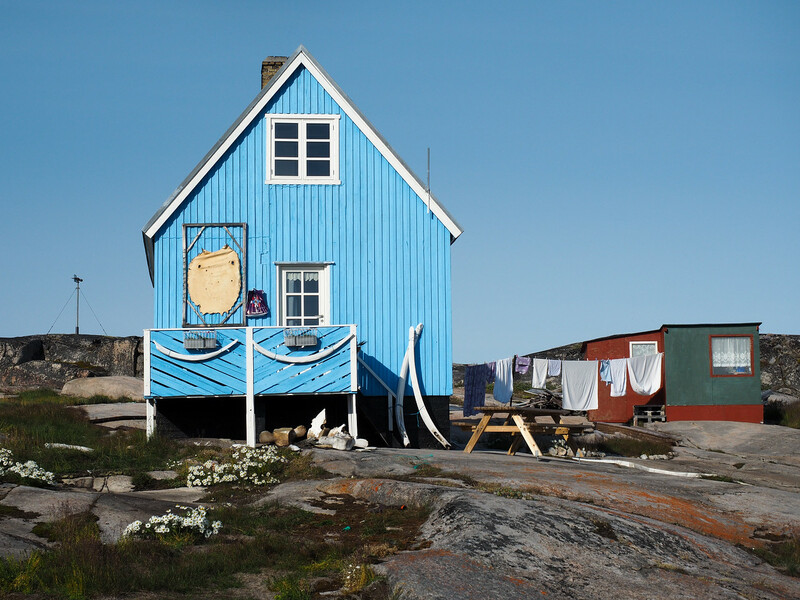 A colorful building in the settlement of Oqaatsut – I love the colors in Greenland! Ice reflected in a calm sea is cool in so many ways. 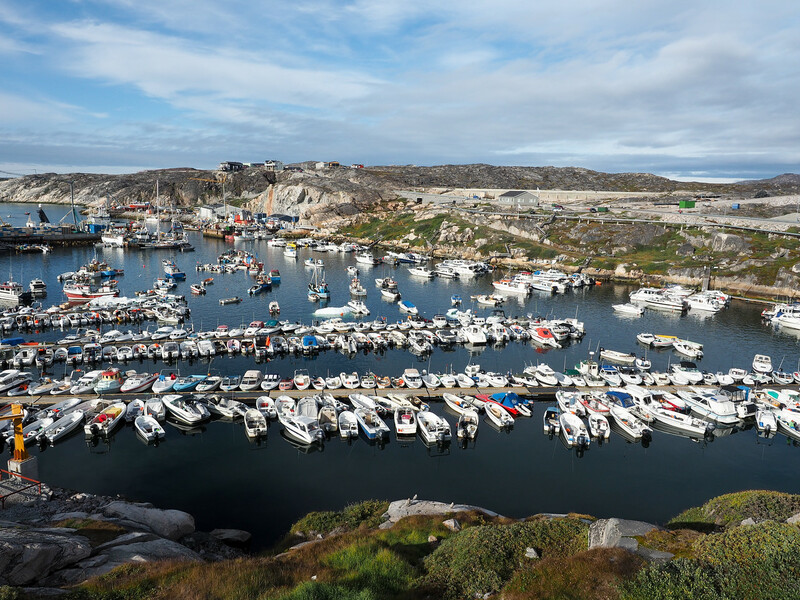 Ilulissat's harbor is such a picturesque place, especially on a sunny day. 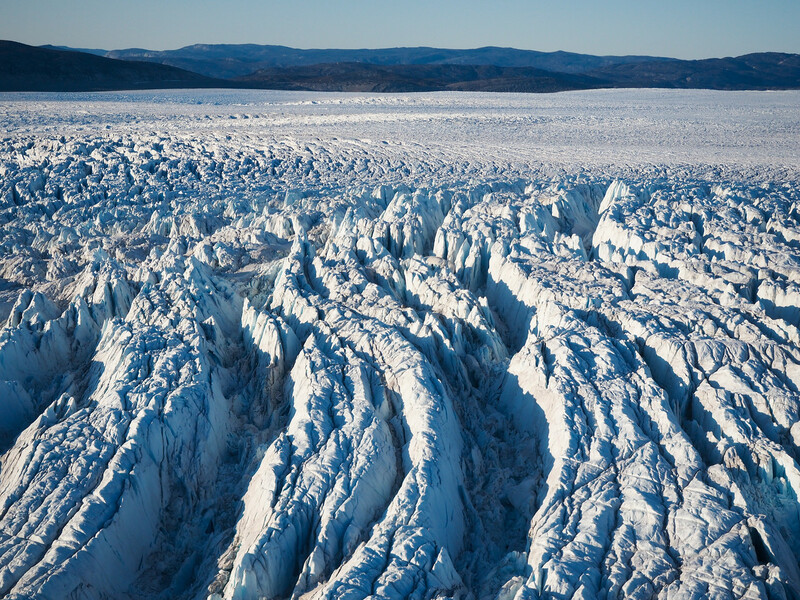 Up close and personal with Sermeq Avangnardleq, the Northern Glacier. You can see why glaciers are called rivers of ice! I felt like this particular sled dog was looking straight into my soul. Can you spot the ice calving off the Eqi Glacier and splashing down into the sea? 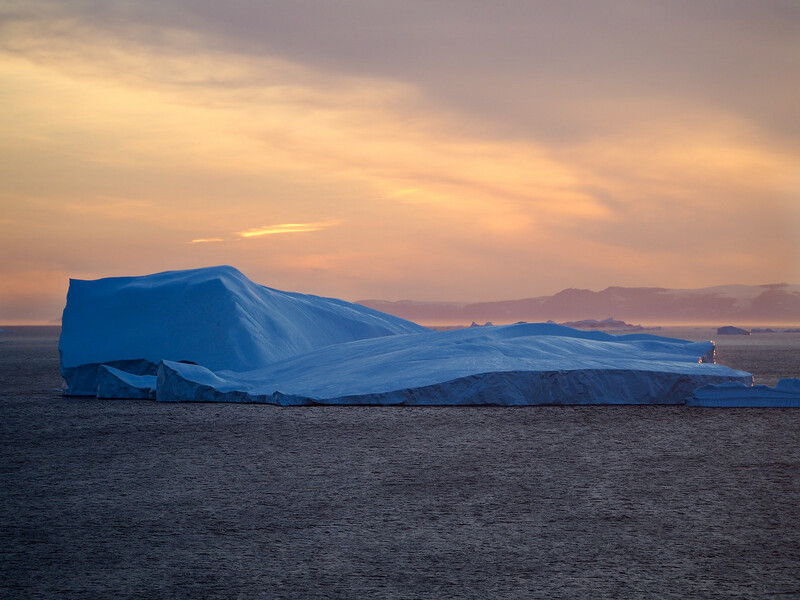 Another iceberg, another sunset, another stunner. 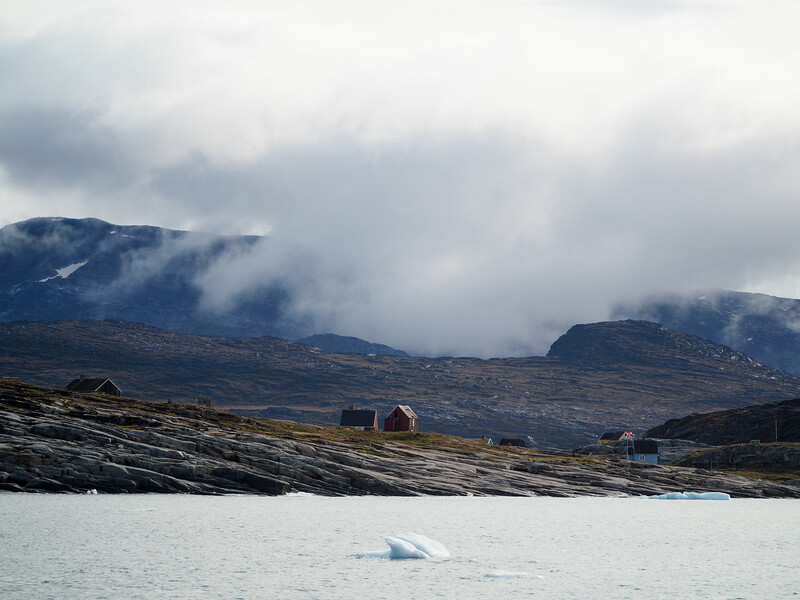 Clouds rolling in over a tiny settlement – the weather changes quickly in Greenland. 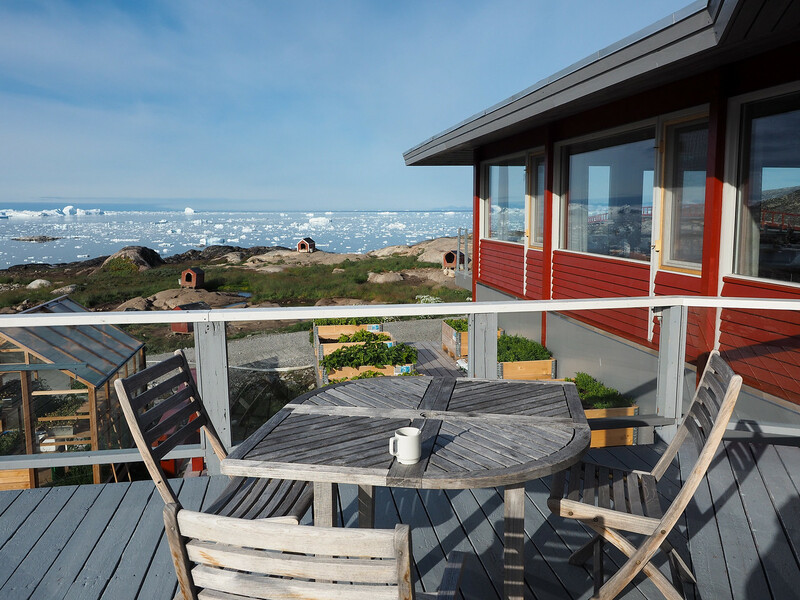 On my last morning, I enjoyed a coffee with this view from Hotel Arctic in Ilulissat. 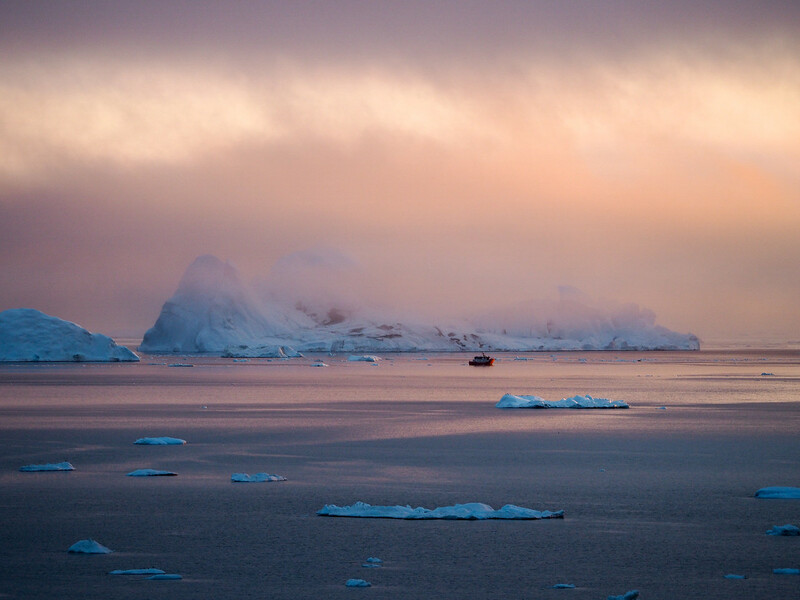 When the sun sets behind the clouds above Disko Bay, you get colors like this. 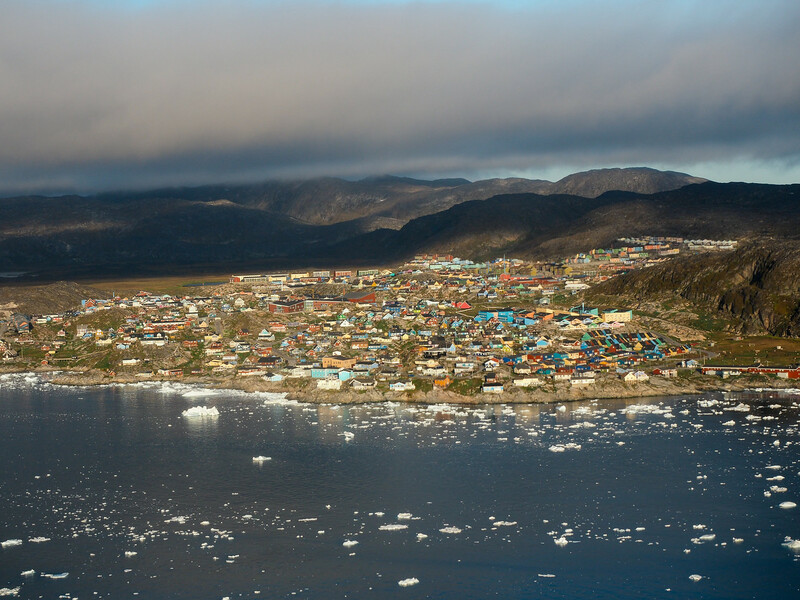 The town of Ilulissat from above. 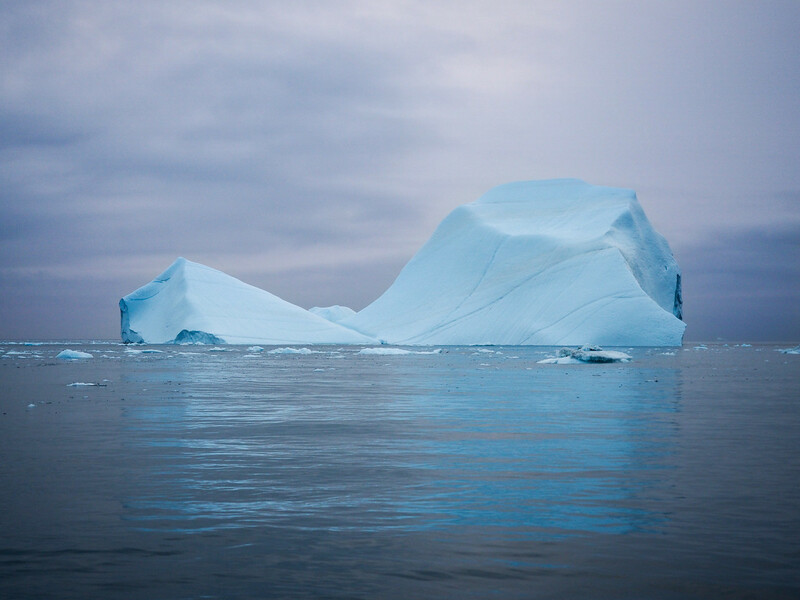 Icebergs in the fog are pretty much the definition of magical. We saw these on our flightseeing tour. 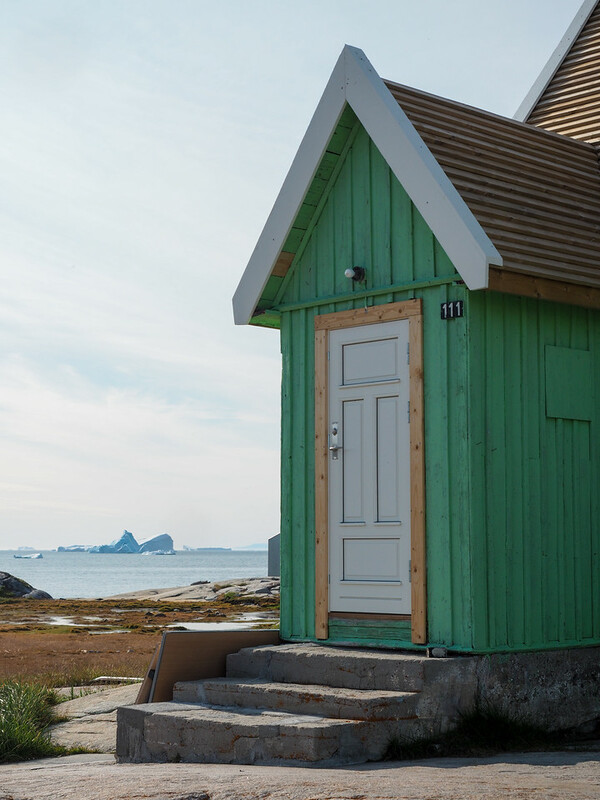 This cute house in Oqaatsut is also a B&B! My biggest warning for traveling to Greenland? Be prepared for it to make you feel very, very small. I just got a taste of the vastness of Greenland on my first visit. But it was the kind of taste that only makes you crave more – I know this won't be my only trip to Greenland! There's still more ice and colorful buildings and vast, empty landscapes to see, and I'm already dreaming about my next visit! 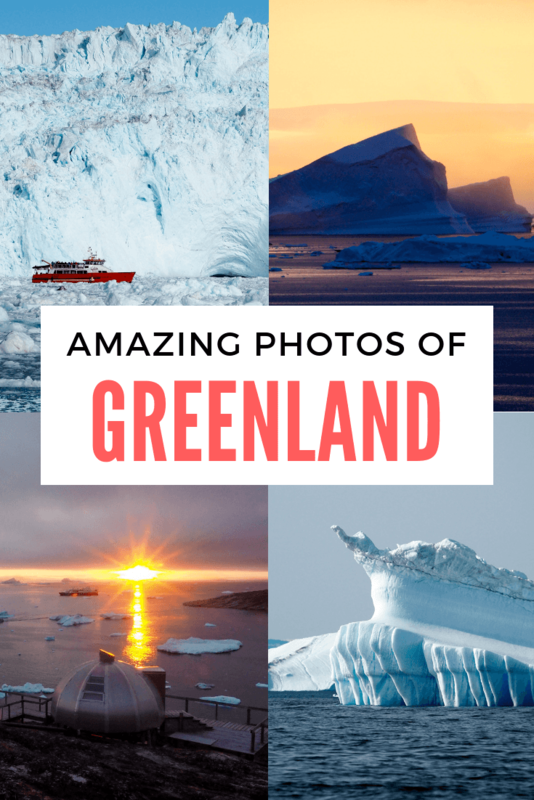 Which Greenland photo is your favorite? 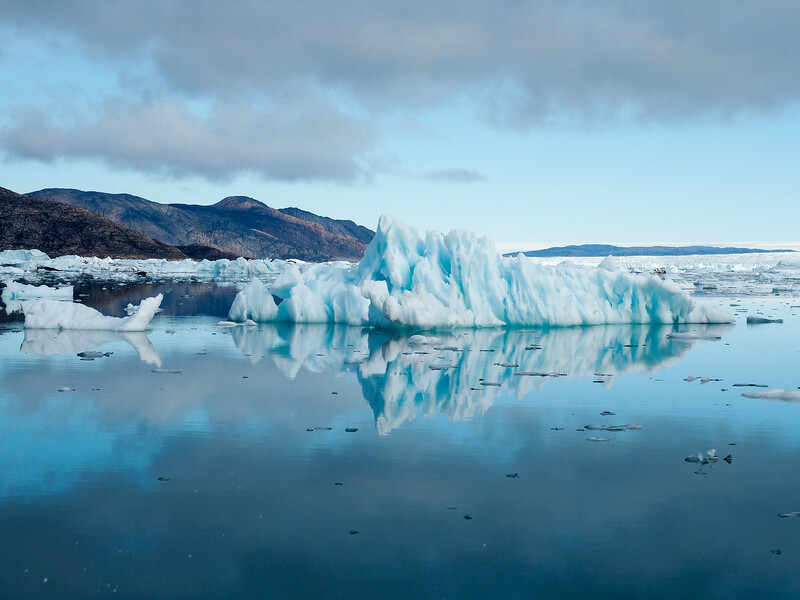 Are you ready to plan a trip to Greenland now? WOW! Gotta start saving for that trip to Greenland. These photos are beautiful! I’m absolutely in love with the one of the whale and the icebergs. What an experience! The whales were definitely cool. We also saw a group of seals, but they were much more difficult to photograph! I’m gobsmacked. Marvellous photography Amanda! Thanks so much! This is probably one of my favorite collections of photos ever! Stunning photos..Loved it all. Will definitely plan my trip to Greenland! Awesome! I don’t think you’ll regret it!